Kevin De Bruyne stands 181cm high and thus is about the same height as his team on average. 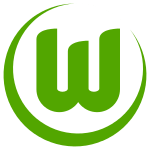 The 27-year-old Kevin De Bruyne was born on June 28, 1991 and is therefore two years older than his team's average age. He is a right footer just as 59% of Manchester City. So far in the 2018/2019 season, he already competed in 34 fixtures. Flemish midfielder Kevin De Bruyne, who is currently under contract to Manchester City in United Kingdom, joined the club August 30, 2015. In UEFA Champions League, Manchester City is in first position, in Int. 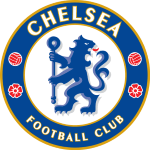 Champions Cup in 13th position and in Premier League (United Kingdom) they are leading. As for winning percentages, he won with Manchester City 67% of their home matches (67% in total) in UEFA Champions League, only 0% of their home matches (33% in total) in Int. Champions Cup and 100% of their home matches (90% in total) in Premier League. Manchester City enjoys a 5-game winning streak during the last 5 games of the current season. To date, collectively Kevin De Bruyne holds 43 penalties. Lately, he seems to be more quiet since less penalties were given to him than usually. He weighs 70kg which is 5kg less than his team's average heftiness. 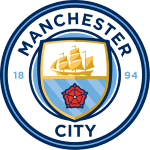 Manchester City has twelve more midfielders in their squad, namely Felix Nmecha, Riyad Mahrez, Leroy Sane, Philippe Sandler, Bernardo Silva, Taylor Richards, Claudio Gomes, David Silva, Fernandinho, Olexandr Zinchenko, Ilkay Gundogan and Adrian Bernabe. Kevin De Bruyne's record stay with a club is his current one with three years and 9 months. Throughout his professional career, he participated in 398 games, the last appearance being six days ago. He wears the number 17 strip at Manchester City. 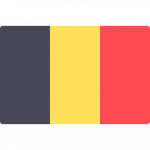 Kevin De Bruyne is enjoying a great Premier League 18/19 (United Kingdom) season so far, netting five times (2.3% of his team's sum) and initializing eight goals. This leads to roughly 0.24 assists and 0.15 scores per match in the resent season. One could say he translated to a slighlty diminished form compared to last year yielding a per-match-quota of 0.22 goals and 0.42 assists. While being substituted more out than in this season, we can observe that this trend came from last season. Moreover, he shows 120 out and 33 in substitutions in total. 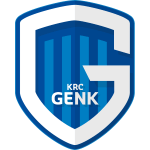 The briefest time his spent on a team counts merely four months in KRC Genk (Belgium). 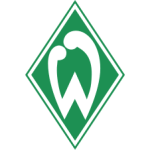 Before joining Manchester City, Kevin De Bruyne was engaged in the squads of Werder Bremen, VfL Wolfsburg, Chelsea FC and KRC Genk. Bundesliga 12/13 (Germany) has been his best season so far since he scored his personal highest amount of goals.